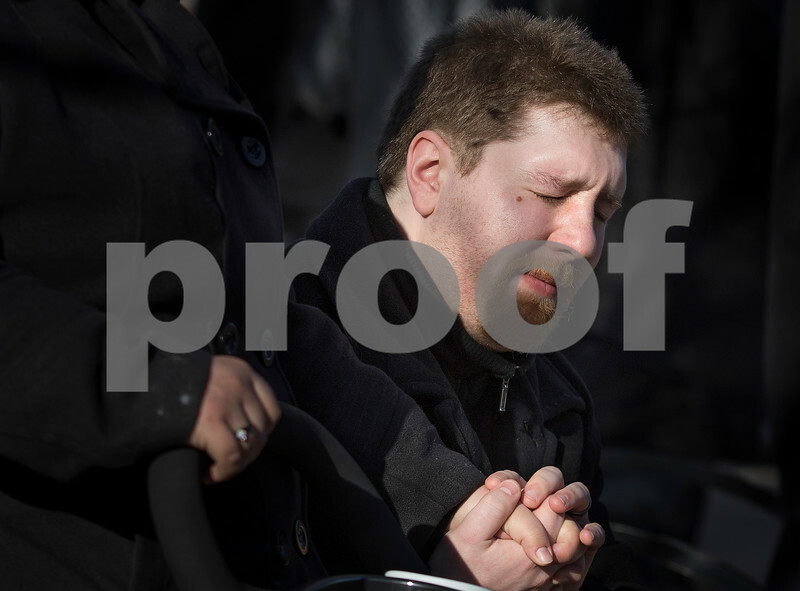 Mike Speek of Rockford grips his wife's hand as he reacts emotionally during a ceremony outside of Cole Hall on Tuesday, Feb. 14, 2017 at Northern Illinois University in DeKalb. The 9th anniversary ceremony was to remember the lives of students Gayle Dubowski, 20, Julianna Gehant, 32, Daniel Parmenter, 20, Catalina Garcia, 20, and Ryanne Mace, 19, who were killed by a campus shooter in 2008. Speek was a student inside the classroom where the attack took place.